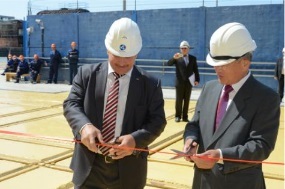 The opening ceremony of the Blast and Paint Facility was held at the Long-Term Storage Complex for reactor compartment units, located in Razboynik Bay, Primorsky Territory in the Russian Far East on 24 June, 2014. 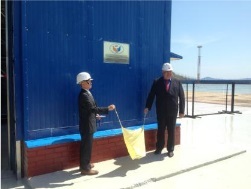 The Government of Japan provided financial assistance amounting to 726 million Japanese yen (approx 8.4 million USD) for the construction of this Facility. 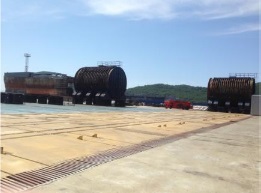 In Razboynik Bay, over 50 reactor units are still under the waterborne storage. 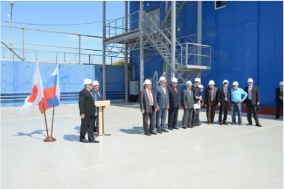 The State Corporation Rosatom plans to place all the units onshore by 2020 with their hull surface blasted and painted against corrosion. 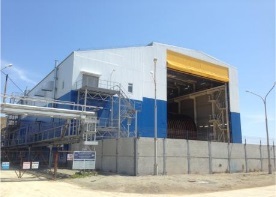 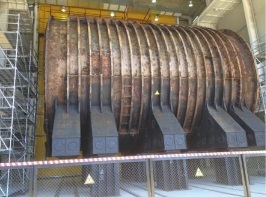 The commissioned Facility is necessary to complete a technological cycle of safe onshore storage of reactor compartments, and is expected to ensure the full operation of the Long-Term Storage Complex together with the equipment the Japanese Government already provided to Russia in 2012.